My blogger friend Debajyoti Ghosh, has a zany sense of humour and a way of laughing at himself. That, folks is one hell of a task, since humour is often at the expense of others. Deb calls his blog Facts and Nonsense, where the two are merrily interchangeable. In this post Deb recounts the time when he had been persuaded to attend a job interview and how well he prepared for it. Read on…. I was holding a copy of my first Times of India with pride. But why pride? Because, in the modern equivalent of a one-horse town where I live, we don’t get TOI or any other newspaper. But we don’t miss them because the local ones carefully cut and paste…er…publish… all the information required to radically transform our lives like the name of the new coach hired by Albania’s gymnastic team or the strategic alliance between Azerbaijan and Georgia. Coming back to the newspaper, as I held it up, a colorless and somewhat depressing supplement dropped to the floor; it read Times Ascent. I looked at my friend for help, but he was busy. After having devoured the classified and obituary pages, his pursuit of knowledge had led him to the page 3 of the newspaper,. Unlike me, who was reading TOI for the first time, he was reading a newspaper for the first time in his life. Understandably, it was a moment of redemption for him. Now he scrutinized the supplement from various angles and replied pensively ‘It looks like an obituary,’ demonstrating his newly acquired knowledge. Another friend of ours, who probably considered himself more educated than we were — which according to us was just an illusory notion — shed some light on the contents of that supplement. Not stopping there, he tossed the outrageous suggestion of taking up a job and utilizing our idle time. We gave him a disdainful look and I promptly dropped the supplement like hot potato. Our permanent abstinence from all physical activities had obviously triggered his jealousy. ‘So, what have you decided?’ he persisted with his unpleasant proposition. There are people who constantly remind you how drab and mundane life is. I am sure the word ‘bore’ was included in the dictionary when one of their predecessors opened his mouth for the first time. I am assuming that the despicable individual was a man because girls or women can never be boring. Anyway, he produced some supposedly logical arguments to justify his suggestion, which prompted us to reluctantly pick up the discarded supplement, and look through. What followed next was pure carnage. In the next few minutes we had marked every ad from VP to receptionist to store manager to driver which said ‘required.’ Soon the newspaper looked like the answer sheet of an under prepared student. Buoyed by his preliminary success, our killjoy friend advised us to prepare a resume, which according to him, was mandatory to initiate the interview process. After looking at each other without getting any the wiser, we sought further clarification from the same source. Glad to see that we were becoming more responsible, he provided a sample resume with instructions to fill out details like extracurricular activities and hobbies. We put in cricket, swimming, watching TV, and stamp collection in that column. It was just a piece of cake! I have to confess here that the hobbies stretched the truth a wee bit. My cricketing expertise was restricted to carrying drinks onto the field; as far as swimming was concerned, you could call me one, if you counted the couple of times I had been pushed into the water against my will when I had emulated Tarzan’s ape call loud enough to put his signature one to shame. And collecting stamps? Why on earth would anyone want to do that? However, we consoled ourselves that no one was going to ask us to demonstrate any of these skills during the interview. We had done extensive research about job interviews by turning to our primary source of information — Hindi movies. What we saw reassured us greatly. The hero Jeetendra, in addition to fixing a giant machine, had also delivered an impassioned speech on unemployment and its solutions, which earned him the job of Managing Director in that company! Thereafter, all he had to do was to sit in a cabin and sign some papers. He also got to do a lot more things like singing and dancing with beautiful women and singlehandedly disposing of a gang of bad guys even before the cops came in. Impressive guy, that Jeetendra! Needless to say, we were inspired enough to go for the interview. We tried to mug up the speech, just in case. What was more, we knew the name of the coach of the Albanian gymnastic team! We were well prepared. On D-day, we watched with astonishment the sun rising from the grocery shop side, which we had hitherto considered ‘west’. ‘You are in the army now’ played in the cassette player and we, clad in the new clothes bought for the occasion, got ready for the challenge at hand. We had to do with old shoes as we had run out of money after getting the new togs. With fire in our hearts and resume in our hands, three of us hopefuls stepped out to announce to the corporate world of our arrival. One office had been specially selected due its proximity to our house and a movie hall — our next destination post the interview session. Within five minutes we reached the venue where a dilapidated house greeted us. In a despicable act of treachery, one of our friends opted out at the last moment and decided to wait for us at the tea shop outside. A lady sitting in a makeshift reception area collected our resumes. There were a few cartons stacked next to her table but where were the cabins which were to be allotted to us for signing documents once we were selected for the job of — well, maybe not the Managing Director but at least an Assistant Director? A group of enthusiastic and slightly garrulous group of boys entered the office. We stopped one of them and gathered to our dismay that it was a door-to-door sales job for a newly launched product. Instantly we knew it meant a futile endeavor to sell items that were never used in the history of human civilization nor might ever be used till doomsday. Obviously briefed by the man inside the cabin, one of them told us about the fulfilling experience of handling ‘challenges’ every day, with an ingratiating smile. Didn’t we know that the ‘challenges’ came not only from the customers but at times from their dogs as well? We cursed each other and our friend for putting us in this predicament and started edging towards the door. The receptionist called out my name as the next candidate and that made me start walking more briskly. But determination was obviously her motto as she came out from behind her desk and began following us. With a stunt that would have made Akshay Kumar proud, we slid two storeys down the banister onto the ground floor. We looked over our shoulders and saw her coming down the stairs very fast – thankfully not the Akshay Kumar way. There was only one option left for us now — we ran. Like a sprinter in a relay race, our friend came out of the tea shop and joined us without asking any questions. We ran for another couple of minutes just to be on the safe side and stopped only when we noticed a few startled faces peering out of the shops. It was time for a gentle stroll — the theatre was only half a kilometer away. Hehehee…It was even funnier for me cuz I sat outside Jeetendra’s office for a year of my life…and imagining job advice from him is…well….err…. hey thanks a lot Shreya! you could have asked him if there is any opening in Balaji films :D.
no, it was the same in Hindi movies as well. but Jitendra was an exception 😀 and that’s why he gave a speech on unemployment problems :D.
Need i say anything about this gem of a post?I think this is the only post of yours that i have been late in reading ;& look how many comments i have had to swim through! But even these were v. enjoyable…..now now don’t let all this adulation go to your head….talking of heads & faces who is this beauty in your new avtaar? You confuse me! Zephyr thanks a lot for this piece of entertainment. Brilliant post. Couldn’t help laughing out loud, startling my friends in the process. thank you so much. that’s exactly what i want everyone to do; read my posts and laugh out loud even if it’s a badly written post :D.
and once again i would request you to post more often. it’s an absolute treat to read your posts. This is very hillarious Deb. The way you write is awesome dude. even i liked Zephyr’s intro :D. forgot to tell her. Thank you so much Zephyr for this lovely intro. i am planning to send you a long mail for the intro and for this guest post thing. just remind me in case i forget again. Very few in this entire world would know the name of the coach of Albania’s gymnast team. I am truly impressed. And statements like: “I am assuming that the despicable individual was a man because girls or women can never be boring” and “we watched with astonishment the sun rising from the grocery shop side, which we had hitherto considered ‘west’: True Gems! no, Dharmendra left corporate world and opted for a more action packed lifestyle in his movies in latter part of his career. i actually deleted those lines which you mentioned while editing but Zephyr had put them back again :D.
So, you are now doing guest posts for Zephyr. Man, your star is on the rise and deservedly so. Loved the post but then I say that about all your work 😉 I worked in sales when I first started and sold Toilet Paper, of all things. So I empathize with your feelings of horror. Ab agar aap bata sakein why you don’t need to work for a living, I’d like to adopt your way. Are you independently wealthy, purkhon ki pushtaini jaaydaat and all? Or did you win a big jackpot, do you make pots of money gambling or do you have an import export business like the Bollywood villains from the 70’s? oh, your comment popped up out of nowhere. ‘star is on the rise’ – now that’s a statement i am not familiar with. honestly speaking, i know what i write 😀 and i definitely don’t deserve to write for someone like Zephyr. i was really shocked when she asked me to write a guest post for her. no i don’t have any of those things which you mentioned. after working for few years, i realized that i have been the worst employee in all the companies i worked with; so decided to stay away :D. moreover, i am just too lazy to work. thanks a lot Arti. yeah it was indeed fun and we had a good laugh at it later. If it were not for the fact that I am sitting in a remote village accessing this post via my feeble datacard, praying I would be able to finish this comment, I would have thought–does this guy live in 1 billion strong India? Seriously–was that first time he held a TOI? But being here everything falls into perspective–I met some young guys this morn–and now I can see them also on the great job hunt!! You are hilarious Debajyoti!!! In btw, did you learn to write well from texting or hindi movies? yes, it was actually the first time i was holding TOI. of course, i did read times of india another 9 or 10 times after that. thank you so much Bhavana. i am trying to learn writing on my own and i need to improve a lot. not a bad idea to check out some Hindi movies to improve writing skills :D.
my comment reply is in moderation because i spelt my name incorrectly. thank you so much for the comment. oh boy .. reminded me of the times when We had freshly graduated and thought the world was under our feet .. only to find out that the Burlingtons catalogue company I was offered the first job was to Sell the damn catalogue house to house .. and thinking I was very handsome and what not , easy to sell to all the lovely housewife’s who had nothing to do when the husbands went away to office .. (err feminists please lay off, I am talking of those days when that’s what happened).. only to find that end of the day or was it a Week .. I sold ONE catalogue and that too My best friends Mother..
ahh the charm of selling .. never again in my life ..
thank you so much bikram. no it was not a jeetendra movie, i guess it was andaz apna apna, first day first show. definitely a better option than attending interviews :). When I was in college in 60s and my name/addresses used to appear in Penfriends column, I received not one but two appointment letters without any effort on my part. One from a Bombay based ‘Acme’ Ltd offering a lucrative job and another wanting me to act in their film! All they wanted from me was to part with some money to be sent to them by way of ‘Postal order’ only which I never sent and thus LOST both the job!!!!! thanx a lot :). glad you liked it. yeah, interviews can be fun. When one has nothing to lose interviews can be fun. Hilarious narration…and a Jeetu or a Govinda movie is a perfect antidote after any diasater…. Image courtesy? Where’s the image, Deb? hey thanks Nambiar for the comment. and you know what? even i wanted to ask Zephyr the same question 😀 but then i saw the image on the home page. and i know i’d have got the job. Continue to spread the cheer! I am still laughing. Now your resume can have ” sprinting” as an added hobby. hey that’s a great idea! no way, who says hindi movies are a waste of time? thanks for the comment and your need to quickly write a post on your experience of interviews. that would be a fun read coz i loved that post which you wrote on your train journey. one more thing Deb, why the affinity towards Jeetendra and Akshay? if you could spill the beans on that one..
oh i just love those songs and melodies. i would rather watch a movie of Jitendra than any of these recently released movies. May I ask how long ago was this?! These days people prepare like crazy for job interviews…and still end up underdelivering. The reference to Akshay Kumar and Jeetendra was too good I could actually imagine those stunts!! Hey Undakanni, how you animate your smileys? no, i vaguely remember the movie. don’t know where this comment will go but it’s for you Zephyr. and i can send you a list of smileys :D.
Could you now? Please send it to me with a note as to how to use them! i have sent you the list :D.
are you only going to talk in smilies now 😦 ? I love long comments. 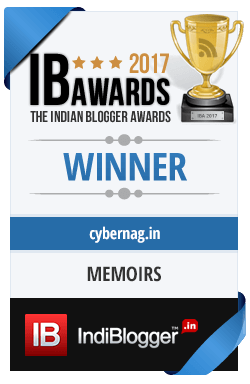 Let me read again :D.
thanks again for the comment and now i am going to brush up my knowledge on battles of panipat :D.
Hmm…thank you for the appreciation of my selection of guest bloggers. *takes a bow* It takes an editor to recognise a good writer 🙂 I can just imagine you pulling off those stunts at interviews. Typical Prema! That was an altogether new way of preparing for a job interview. I remember how I used to break my head about what weaknesses I could write that I could safely explain during an interview and that actually ended up being strengths :). The days of the interviews. They were fun! Hmm… That was a narrow escape, reminiscent of tense chase scenes of Indians Jone’s movies. But weren’t you asking for it? Beware of friends who prefer job clips over obituaries. ps. I was bowled over by your town’s awareness of affairs in Albania, Azerbaijan and Georgia. Absolutely, it’s always advisable to go through the obituary pages instead of job clips. oh, we know everything, the only problem is that we won’t be able to locate those countries on world map :D.
Dharmendra wouldn’t have been a bad option either. Once you knew you’d end up selling junk, you scooted! Even your friend has got to admit you have a practical head on your shoulders. Hope you find a job you enjoy. We can make job interviews fun, only if we have no intention of a serious interview. Just wanted to say, loved reading this one…hilarious!!! hahahaha, Hindi movies are the best. why waste time on wiki?